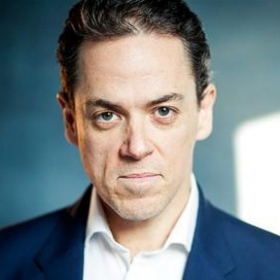 How much do you like Jeremy Secomb? Show it! West End Theatre includes: Sweeney Todd in Sweeney Todd (Shaftesbury Avenue), Piangi and cover to the Phantom in The Phantom Of The Opera (Her Majesty’s Theatre), u/s Tito Mirelli in Lend Me A Tenor (Gielgud Theatre), u/s Bob in Priscilla Queen Of The Desert (Palace Theatre), Evita (Adelphi Theatre), u/s Count Fosco in The Woman In White (Palace Theatre), u/s God/Dwight in Jerry Springer – The Opera (Cambridge Theatre), Piangi in The Phantom Of The Opera (Her Majesty’s Theatre). 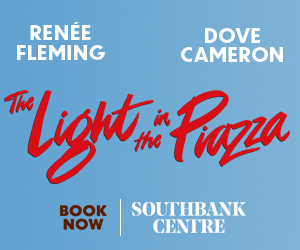 Other theatre includes: Sweeney Todd in Sweeney Todd (Harrington’s Pie and Mash shop in Tooting), Joseph and his Amazing Technicolor Dreamcoat (UK Tour), A Grand Night for Singing (Footbridge Sydney), The Phantom Of The Opera (Australia/New Zealand and UK tour). Workshops: Love Never Dies at Sydmonton, Bumblescratch (Hookbeard), Gulliver’s Travels (Gulliver). Other: Soundtrack of Lend Me A Tenor The Musical. Voiced an SAS solider, PSP game, Socomm. Recorded: Jerry Springer – The Opera (BBC and DVD release). 25th Anniversary Phantom Of The Opera at the Royal Albert Hall and DVD release. Recently Jeremy has made guest appearances as the title role in The Phantom of the Opera at Her Majesty’s.